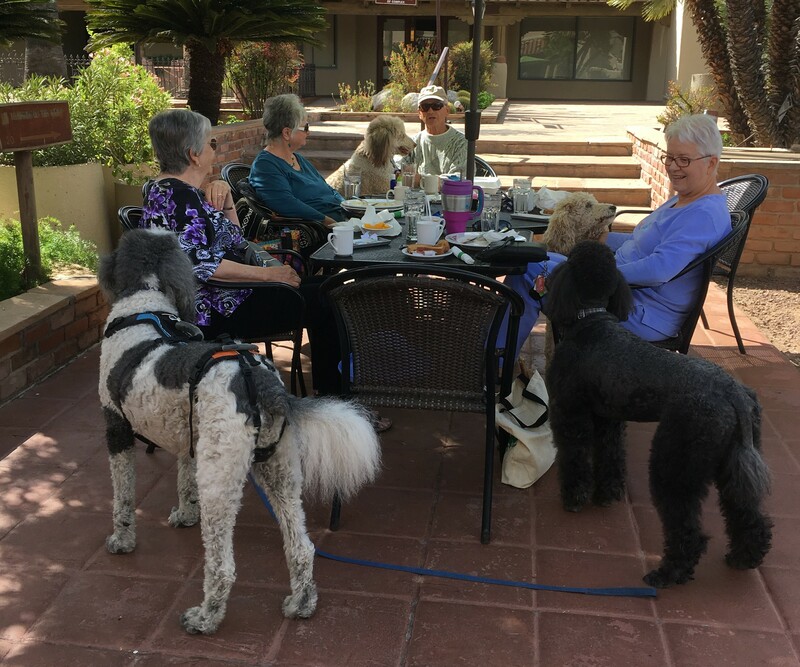 A regular Breakfast with the Dogs especially for Poodles and their friends was started in February 2016. 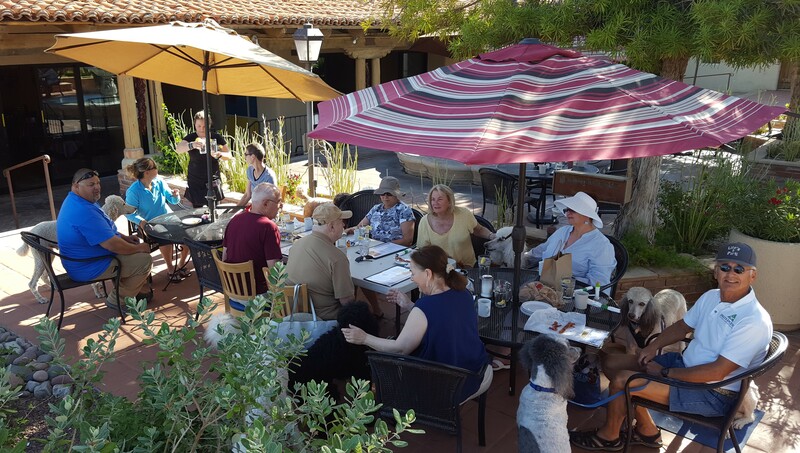 It is held every other Thursday. 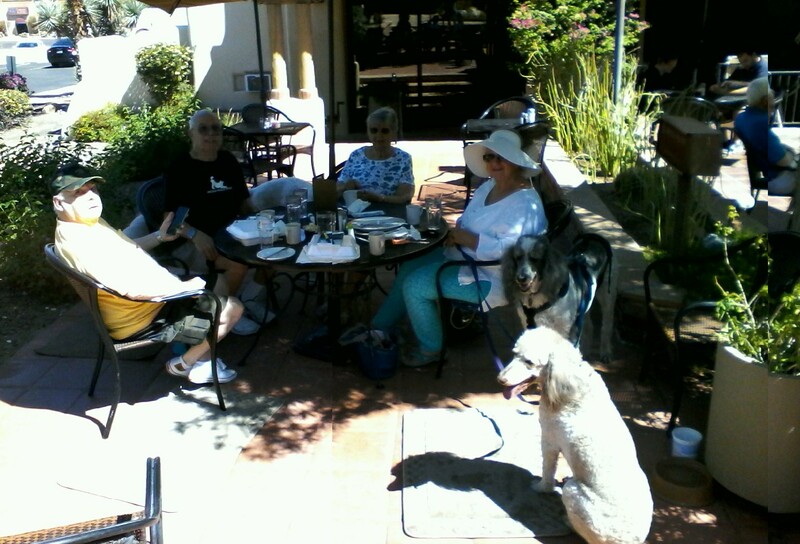 Poco and Mom's was our early venue but the location is now varying. 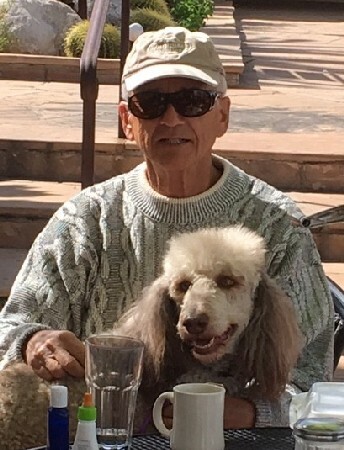 Garrett and Cappy are regular attendees. 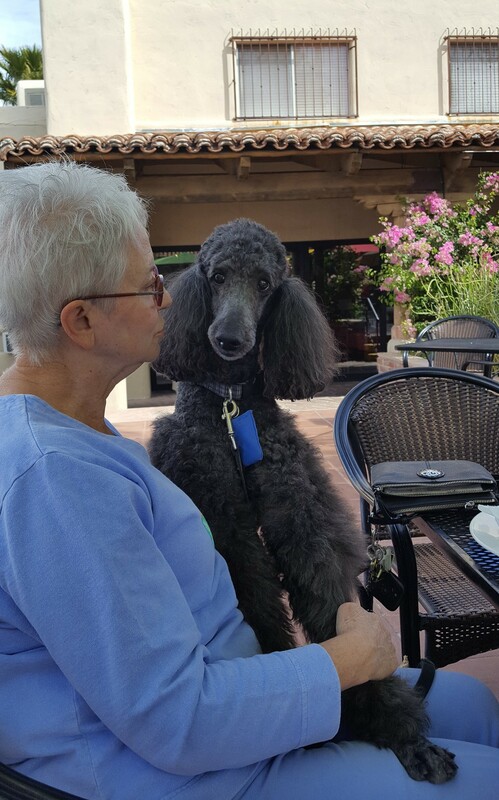 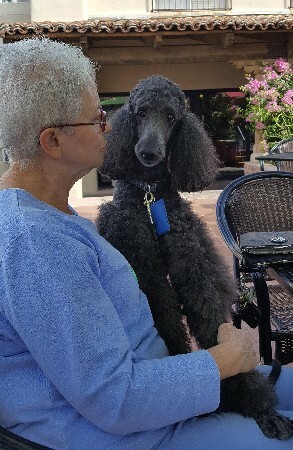 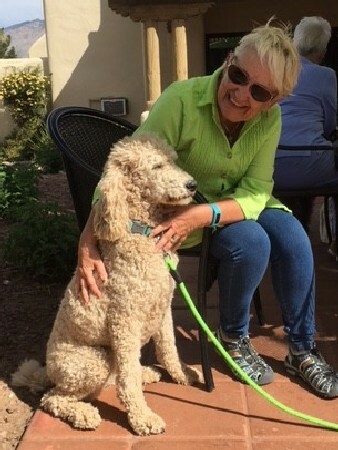 Poco & Mom's Restaurant has a beautiful, off-street, dog-friendly patio, a large open menu and friendly wait staff. 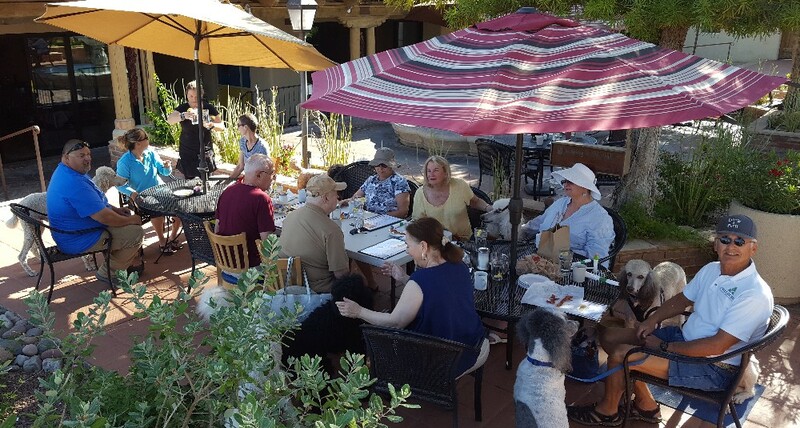 It is located at 7000 East Tanque Verde, on the SW Corner of Tanque Verde and Sabino Canyon. 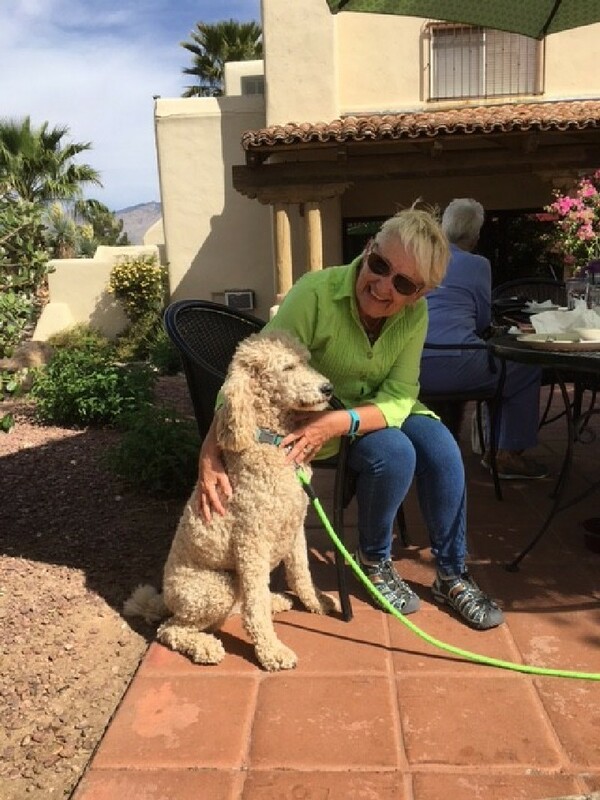 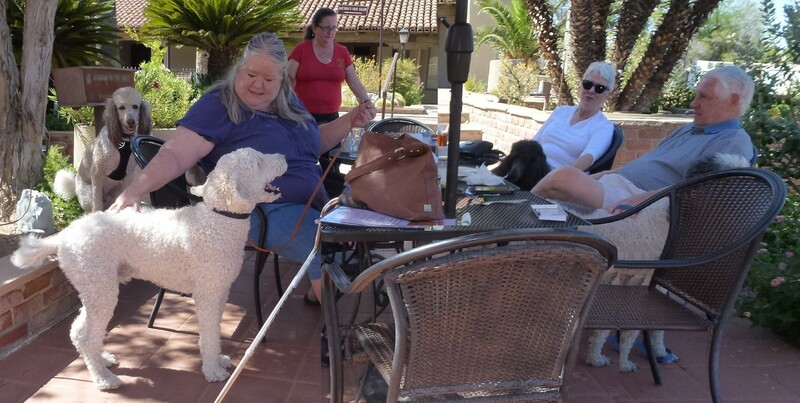 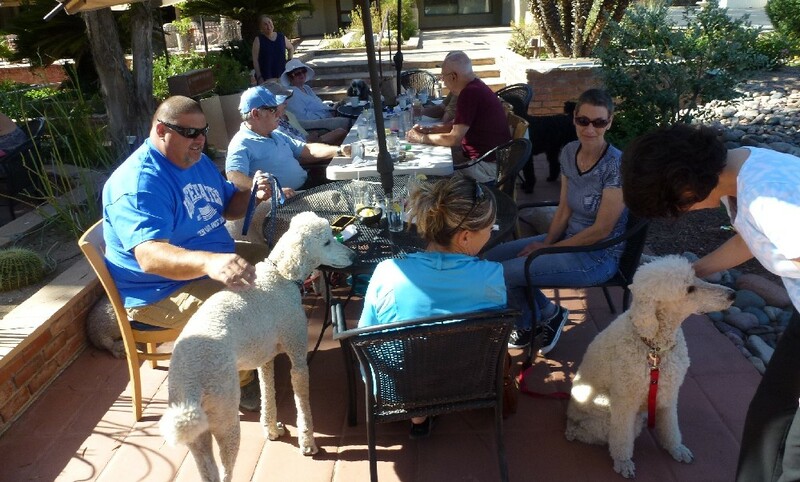 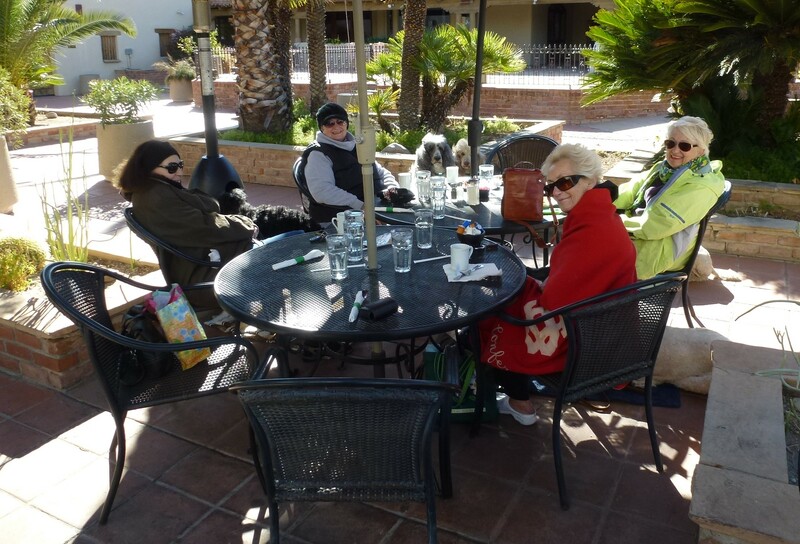 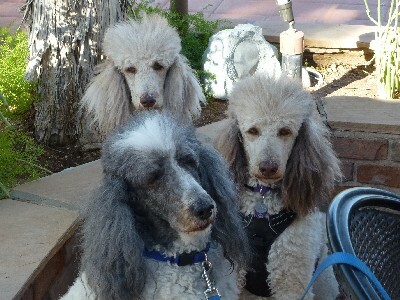 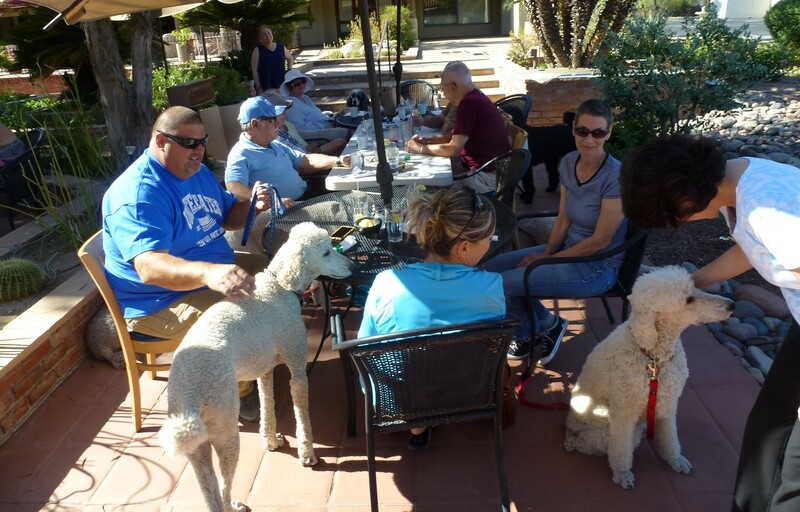 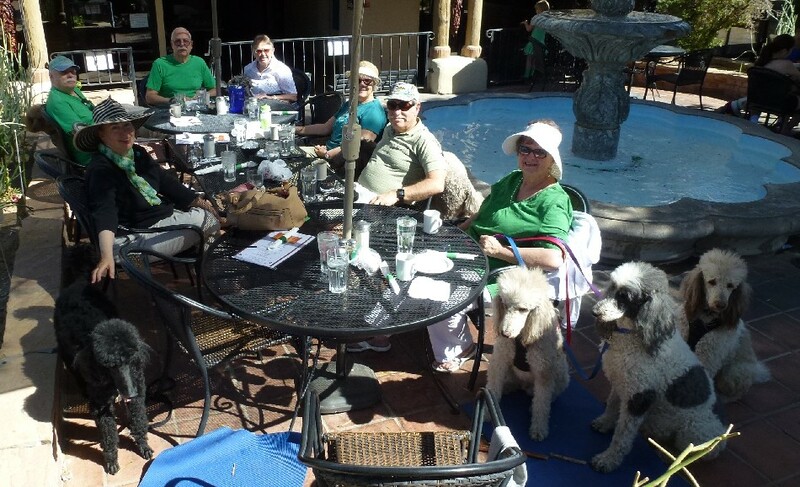 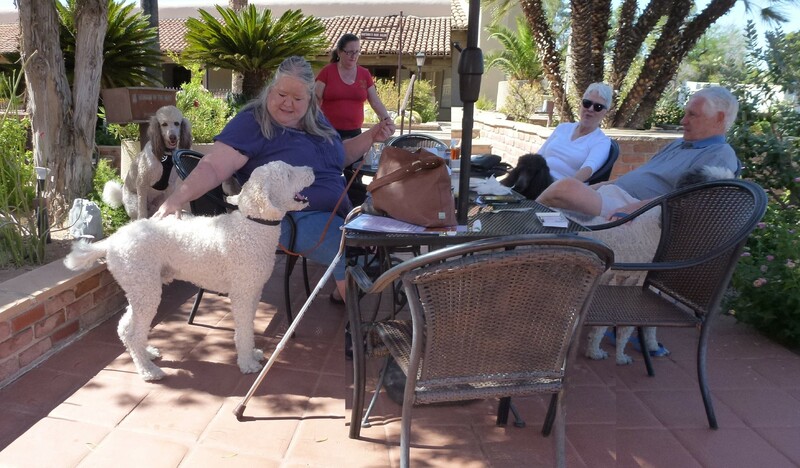 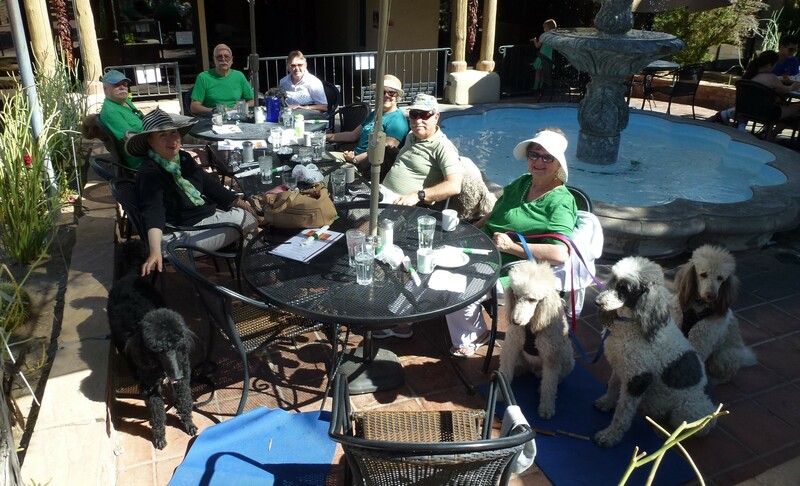 Breakfast with the Standard Poodles on March 17, 2016 - eight people and nine dogs - It was St. Patrick's day. 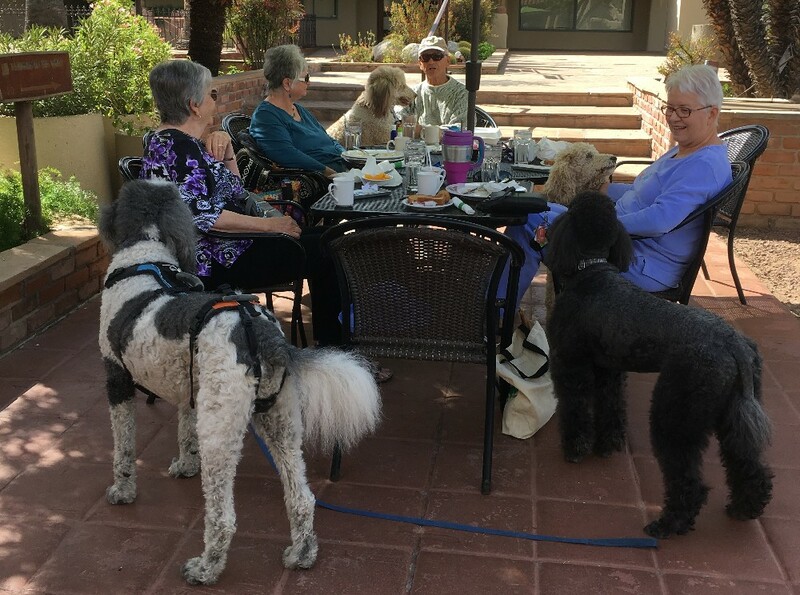 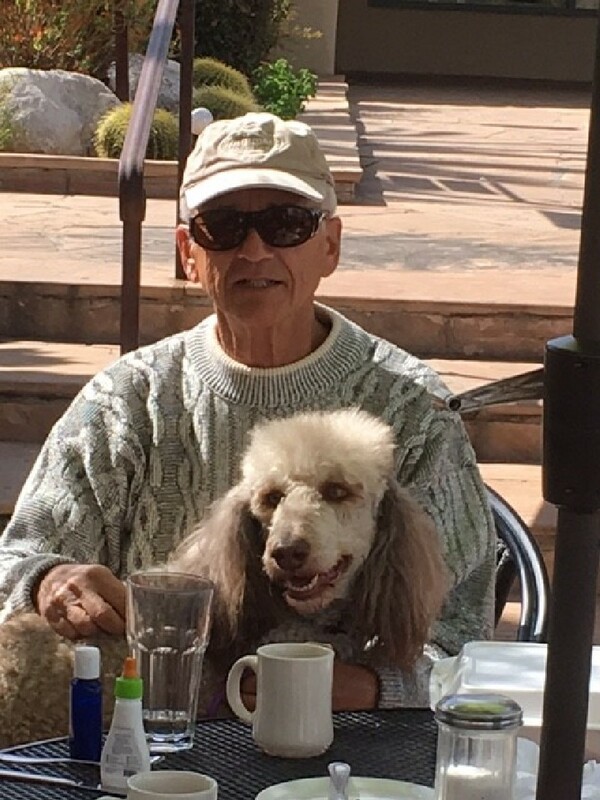 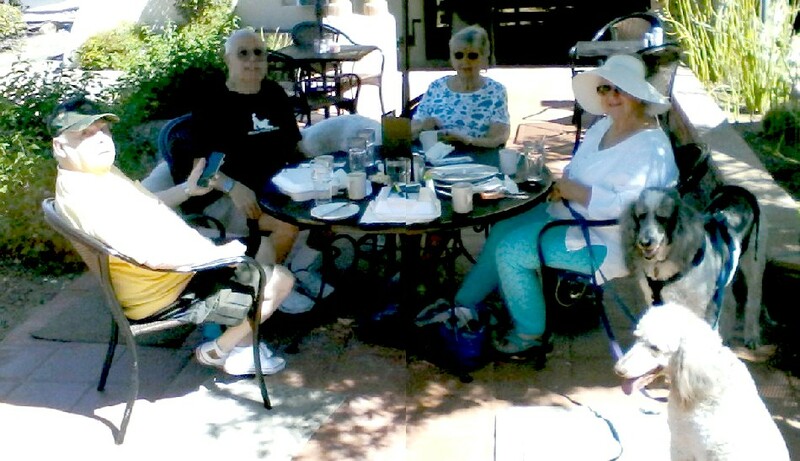 Although this was taken at a Saturday breakfast March 25, 2017) rather then a poodle breakfast, there were five standard poodles and six people. 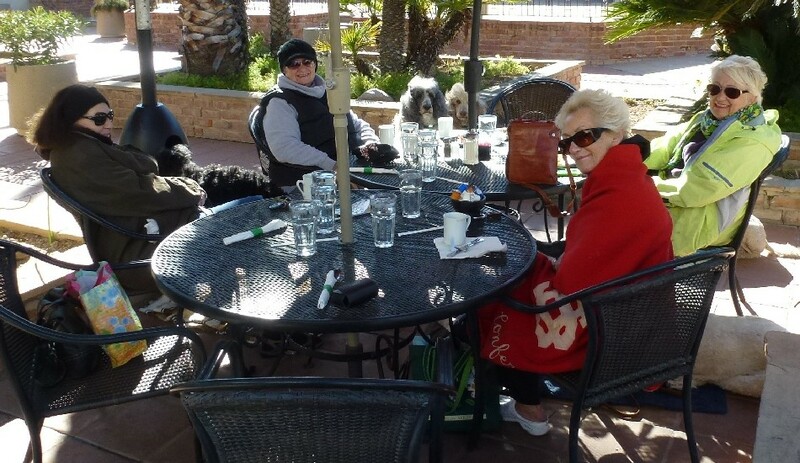 More pictures from that breakfast below.